This week we are going to visit Russia for our ornament inspiration. With the revolution in 1917 all religious celebrations were banned including Christmas. It took until 1992 for it to be openly celebrated again. 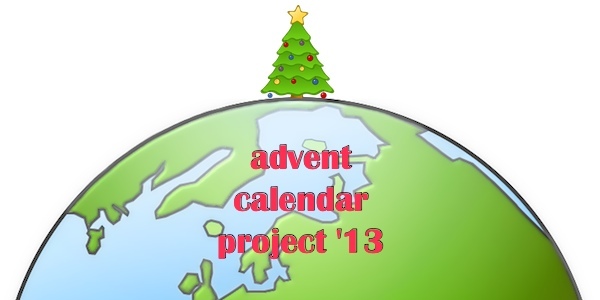 In the Russian Orthodox Church they use the Julian calendar, so Christmas is celebrated on January 7th. 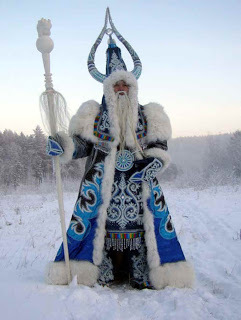 During the suppression of religion, Santa Claus (or St. Nicholas) was replaced with Ded Moroz or Grandfather Frost, the Russian Spirit of Winter, who brought gifts on New Year’s. Grandfather Frost looks a lot like Santa, but he is dressed in blue. Christmas trees were banned, so instead people decorated New Year’s Trees. Decorations often reflect Father Frost in colors of blue and white with glitter and snowflake motifs. That is where we get our inspiration for this week’s ornament. I was also inspired by the fabulous Fabergé eggs that were created for the Russian Tsars. This is an ornament you can have fun with. 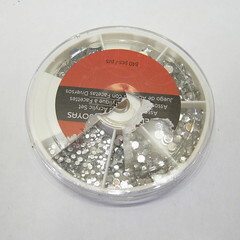 Keep it simple or go as crazy as you like with beads, rhinestones, stickers, ribbon and glitter. 1. Insert the screw eye into the top of the eye. Put a little glue on it to secure it. Let dry. 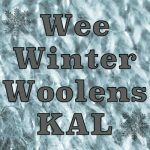 Put a length of ribbon through the eye and tie into a loop for hanging. 2. 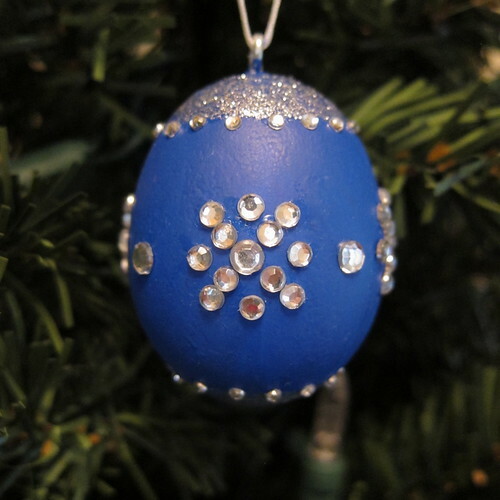 Paint the egg royal blue. 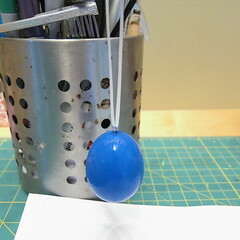 It took three coats for my egg to have a smooth, deep blue color. 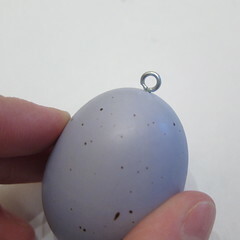 I used the ribbon loop to hang the egg so I could paint the whole thing easily. Let dry. 3. Now start decorating. 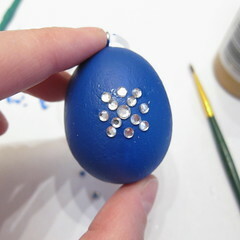 I worked out a snowflake design with some tiny rhinestones I had and then placed four of them around the middle of the egg. I used a small paintbrush to dab glue on the back of the rhinestones. Tweezers can help place them as well. 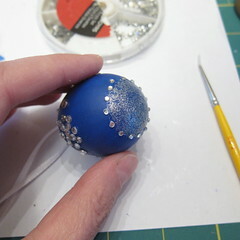 Then I painted the top and bottom with silver glitter paint. I trimmed those areas with even smaller rhinestones. You may need to touch up the blue paint a little after decorating. 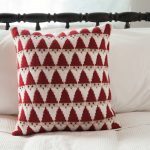 It helps to keep your hands clean while decorating, so you don’t get little pieces of glue or glitter everywhere. That’s gorgeous! I love the color.